Are you ready to DOWNSIZE into our beautiful SIERRA? While still having room for the grandchildren when they stay? 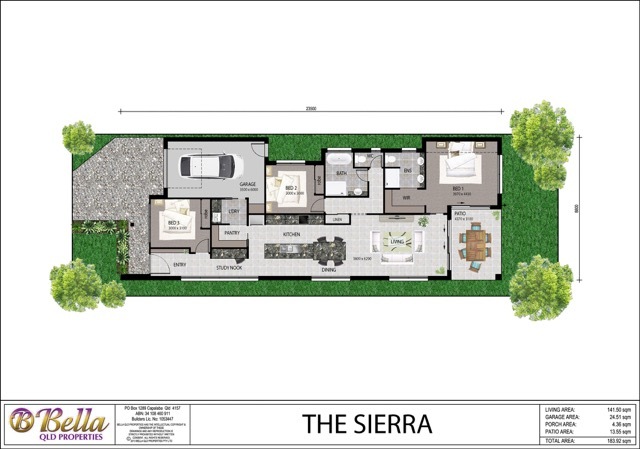 The SIERRA a beautifully designed BELLA HOME that offers 3 bed, 2 bath, 1 car including quality Prestige inclusions. This a Turnkey package of the SIERRA and Lendlease YARRABILBA estate. This could be your new perfect house to downsize into and just relax. The BELLA QLD PROPERTIES HOME features a Bellaâ€™s custom designed â€œSIERRAâ€ of 164.90m2, packaged with LOT 384 10m x 32m 320m2 block in YARRABILBA. Total Price $362,491.50. TURN KEY PRICE!!! With Bellas PRESTIGE inclusions range package included all the work has been done for you so you can start living in your beautiful home as soon as possible.